Not only do these delicious nutrition-rich nuts lower your risk of heart disease, they also contain a substantial amount of protein, unsaturated fats and essential vitamins. Eating fat to loose fat may seem too good to be true, but eating a handful of almonds a day has been proven to lower cholesterol levels, fight inflammation, as well as decrease the risk of heart disease. If you’re busy and need a quick snack, nothing is as convenient as having almonds in your kitchen to quickly grab and go. If you’re looking to increase your metabolism and improve your immune system, adding an egg to your everyday diet would be extremely beneficial. Rich in protein and amino acids, eggs help the body to preserve lean muscle and contribute to healthy brain function. Eggs are also great in the sense that they can be easily cooked and quickly prepared. They can be eaten in so many different ways, such as boiled, fried, scrambled, steamed, poached, and always provide the same nutritious benefits. Strawberries, blueberries, raspberries and blackberries are some of the healthiest fruits in the world. 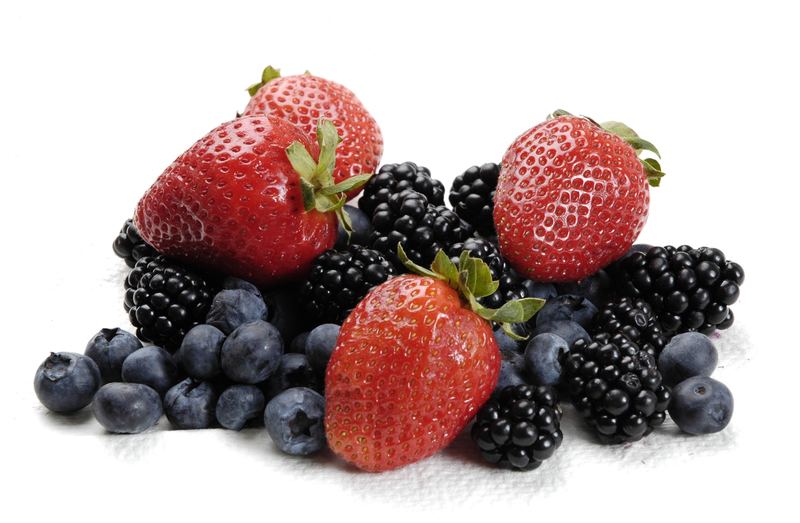 Not only are berries sweet and delicious, they contain an enormous amount of antioxidants. Blueberries for example contain the highest amount of antioxidants of all fruits, which reduce the risks of cancer, heart disease and inflammation. When buying berries, it is better to choose the organic brand or even to pick them yourself, since regular commercial brands are known to use high amounts of chemical pesticides to fertilize the berries. Containing more potassium than bananas, avocados create fullness all while nourishing the body of essential fats and helping it better absorb calcium. These rich vegetables are a great option to add to a vegetarian, low-fibre diet as they are higher in fibre than most vegetarian foods. There are many ways to incorporate avocado in your diet, even if you don’t particularly enjoy eating it by itself. Try adding a few slices onto a sandwich or into a smoothie, or even making your own homemade guacamole. A perfect source of calcium, yogurt makes for an ideal, quick, proportionate and nutritious on-the-go snack. Being a quick and light snack, having yogurt cups in your refrigerator is fantastic when you have a busy schedule. When buying yogurt, it is best to try to steer away from the kinds that contain sugar or artificial sweeteners. Instead, try adding your own fresh fruit to it, or even some of your own natural sweetener, like stevia or honey. Power Foods, Copyright 2010 by Martha Stewart Living Omnimedia, Inc. First Edition, Published in the United States by Clarkson Potter Publishers.
? ??? ?? 25 ?? (40km / h)? Is Rip Off Report a Rip Off?